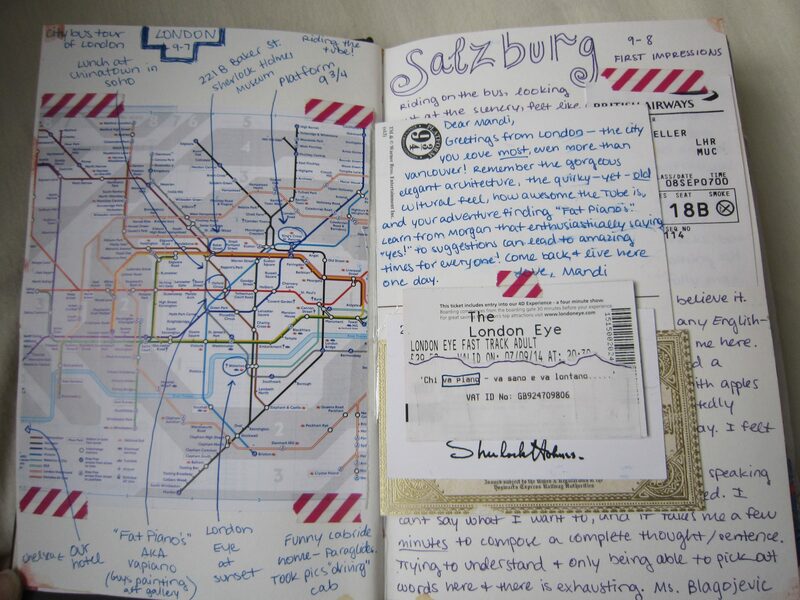 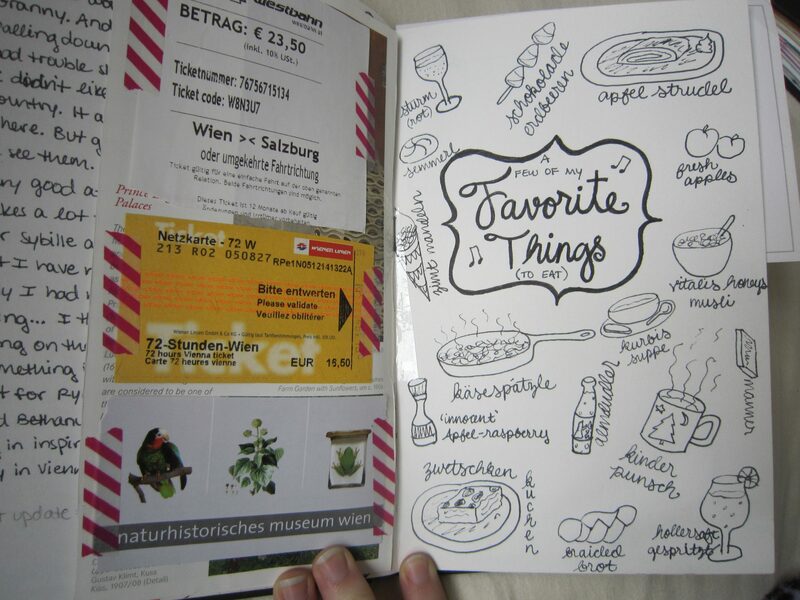 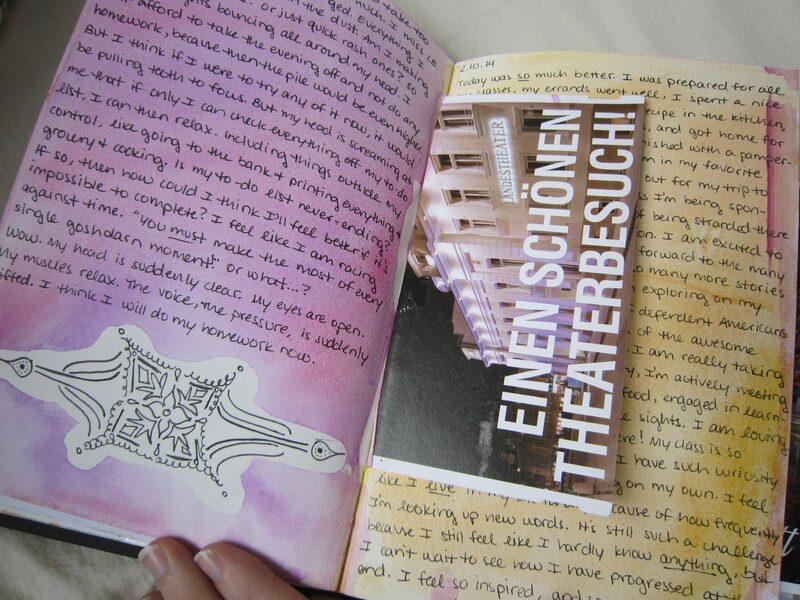 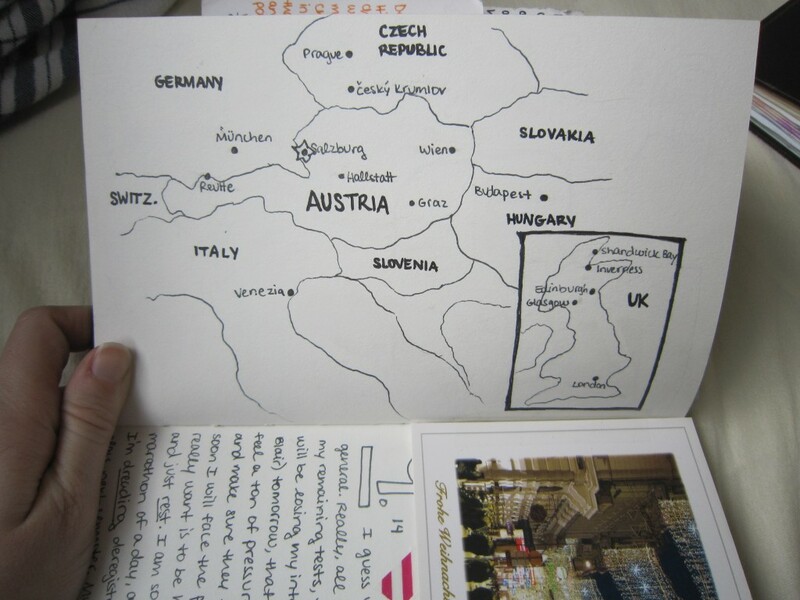 During my stay here in Austria, and throughout all my travels, these little mixed-media journals have followed me everywhere I go. 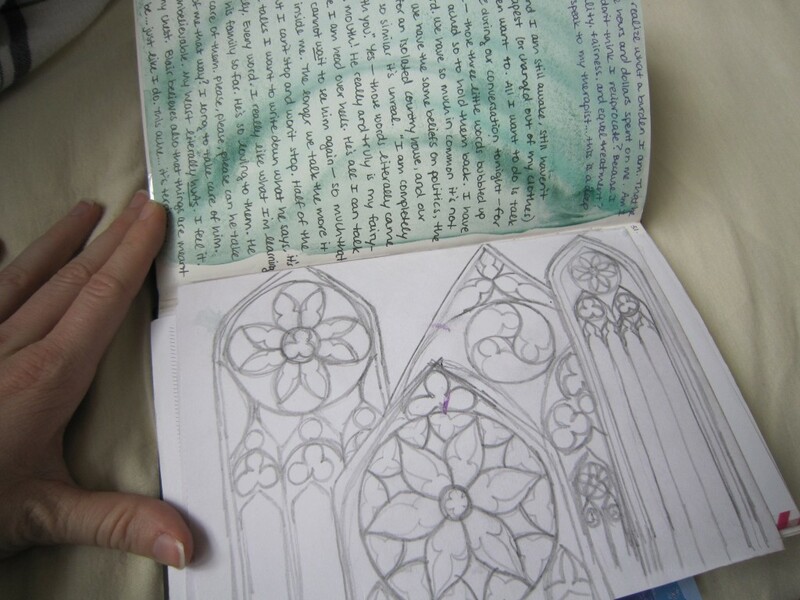 I have always kept a journal, but this trip I decided to give myself a portable creative outlet (since I would be away from my closets of craft supplies). 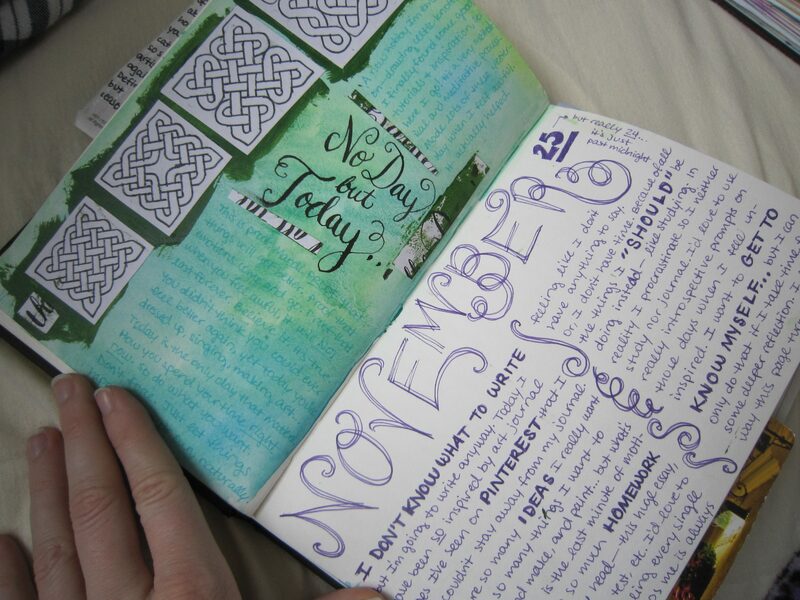 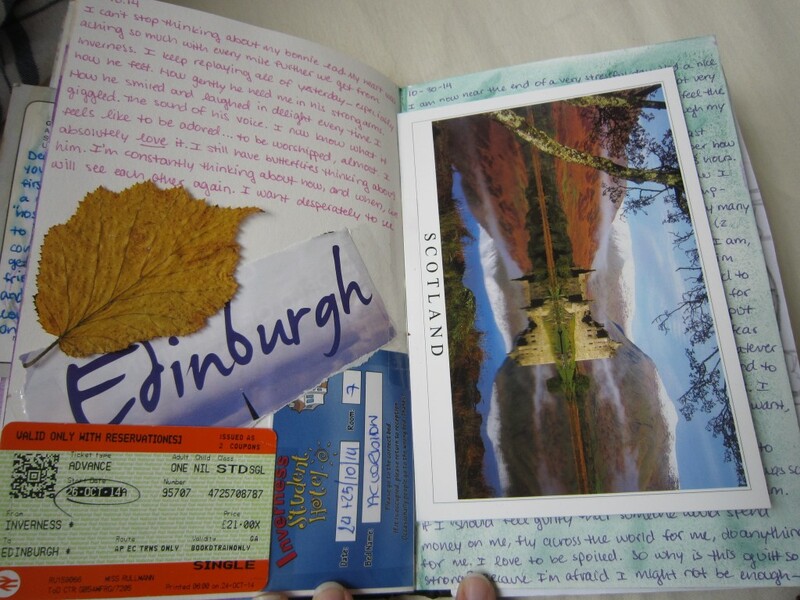 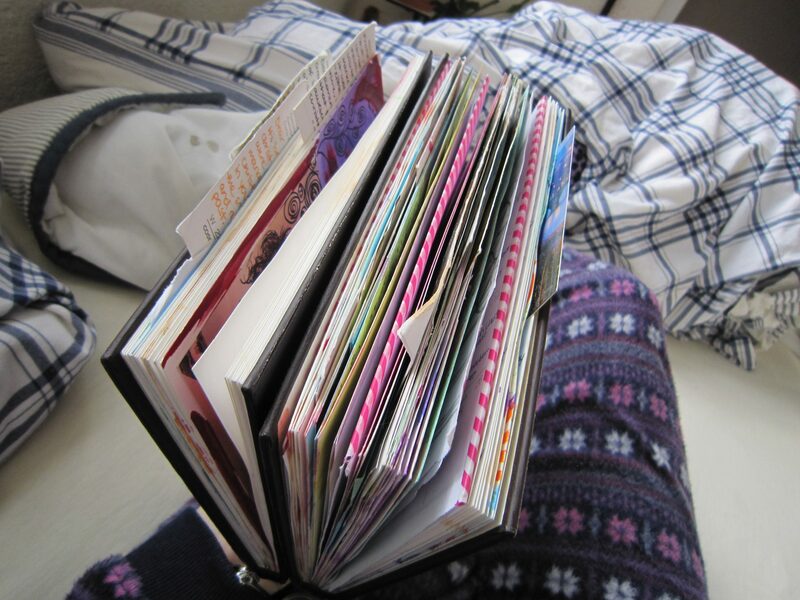 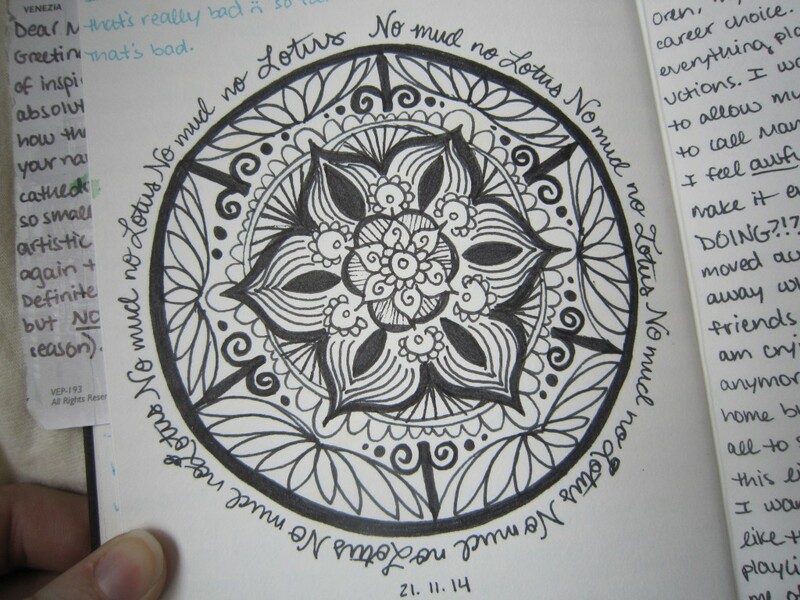 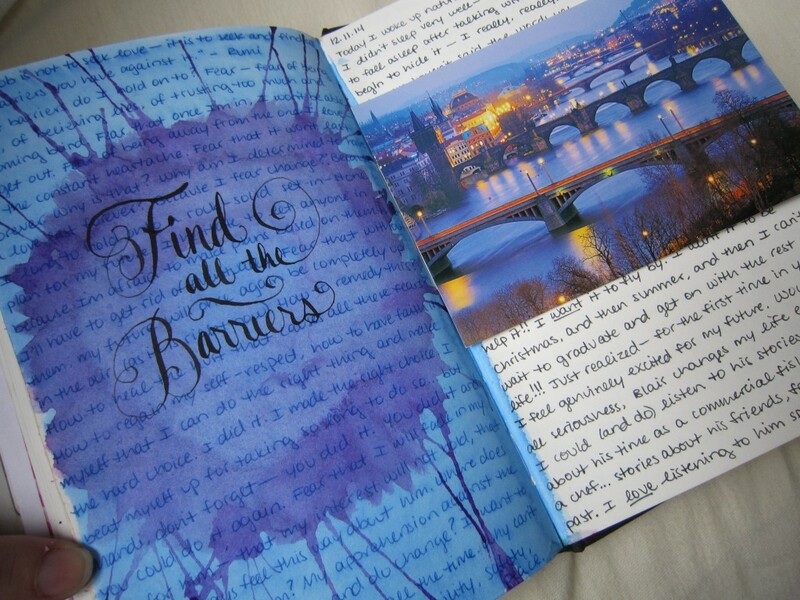 I have been keeping an art journal and a “normal” journal and a scrapbook, all in one! 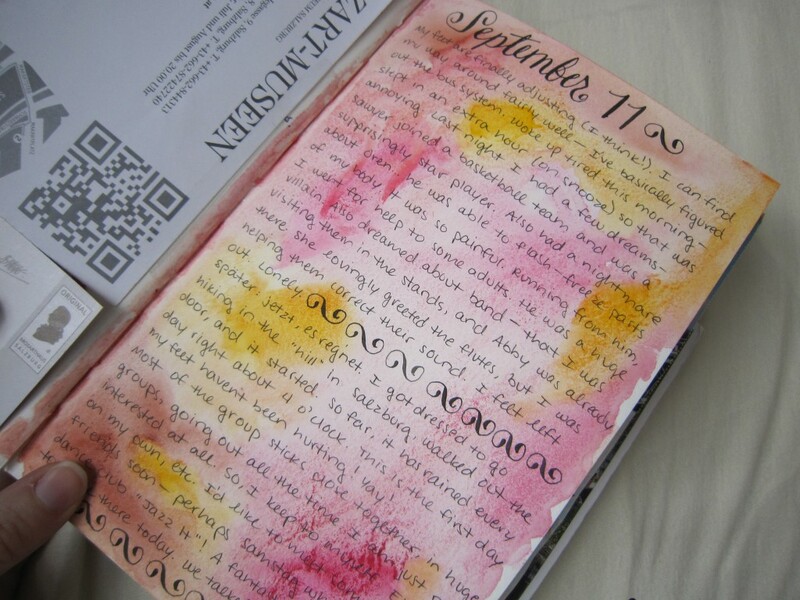 The result is a conglomerate of ticket stubs, watercolor washes, calligraphy practice, and pages and pages of journaling. 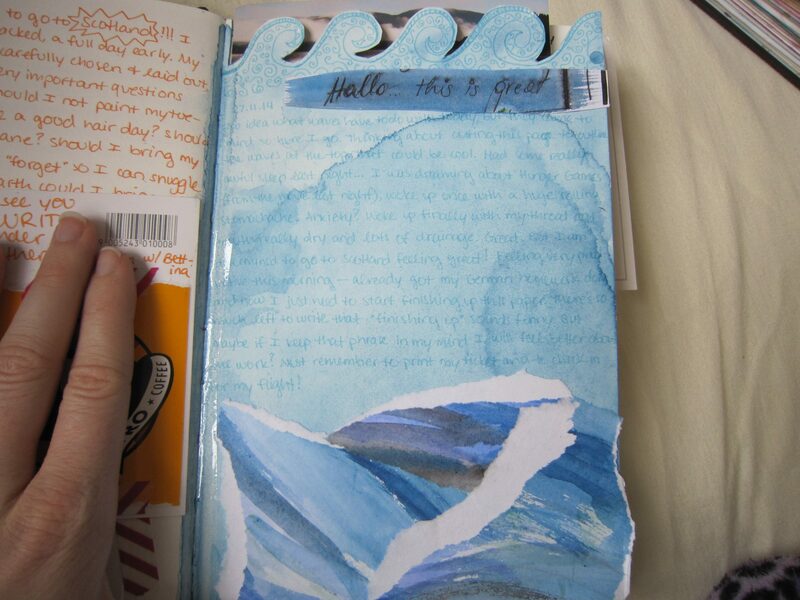 I hope you enjoy this little peek into my creative world this semester!